The next generation iPad will be announced on Wednesday, March 7 based on the news released by Rene Ritchie of iMore. iMore states that iPad 3 will be launched on that date with a 2048 x 1536 Retina Display (a widely expected upgrade), and a quad-core A6 processor. 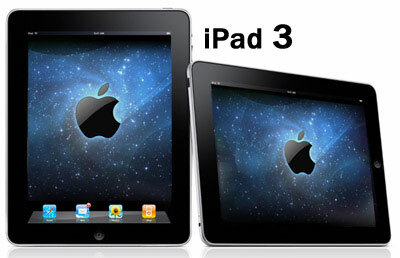 iPad 3 rumors are flooding over the internet and it will go on until the release date of iPad 3. While widely expected, a Retina Display and A6 processor update are both unconfirmed. Recent leaks to third-party repair depots allegedly show an iPad 3 case and display remarkably similar to the iPad 2 except for very minor internal changes. Other rumors have suggested the iPad 3 may feature an improved camera. Far less credible rumors have suggested the iPad 3 may feature support for 4G LTE networking, which both iMore and we here at TUAW find less likely for a variety of reasons. If Apple follows the rule of the iPad 2 announcement in 2011, iPad 3 could be launched for sale in the US on Friday, March 16. International sales may follow in some selected markets like the UK, Australia, Canada, Japan, and New Zealand two weeks later on March 30, with staggered rollouts continuing in later months.